Tyne Theatre & Opera House are excited to have teamed up with local immersive theatre group Twenty Seven Productions to present “1867” – a week of theatre tours with a twist to celebrate their150th Anniversary year. Twenty Seven Productions are the team who brought Hitler’sHeadquarters to the Victoria Tunnel, and who unearthed the secrets of Newcastle’sCastle and the doomed Geordie witches in WYTCH. Their newest venture is a celebration in the form of a new, high tech, exploration of Tyne Theatre & Opera House’s 150th Anniversary. 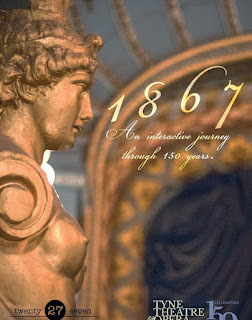 Aptly named, “1867”will be a multi-sensory experience for each limited audience, anchoring the sights, sounds and smells of the building, all whilst discovering new paths you never knew were there. Cheer for Tosca, escape the 1985 fire, search for lost treasures and mingle with theatre ghosts. “The way in which I was able to leave modern life at the door and become a part of the past was a unique and liberating experience”. – Quote from Veteran actor, and household name Bill Fellows, who is (we won’t spoil how!) 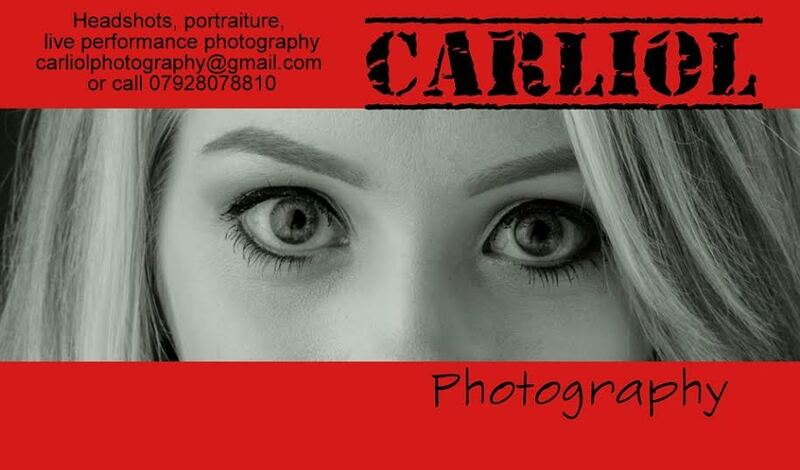 heavily involved in the production. “1867” is part of TyneTheatre & Opera House’s special 150th Anniversary programme, and takes place in the month of the theatre’s opening. Though September officially marks 150 years, we’re celebrating throughout the year, and our 2017 calendar will feature a number of special events that have been chosen specifically to be part of our celebratory programme. Some of the events already confirmed include Geordie the Musical, which TyneTheatre & Opera House present in association with Customs House, SouthShields, three classic Gilbert & Sullivan musicals from the National Gilbert & Sullivan Opera Company, the return of Newcastle magician ChrisCross’ The Greatest Show on the Tyne variety show and a grand staging of WestSide Story by Tyne Theatre Productions to raise money for the theatre’s ongoing restoration. 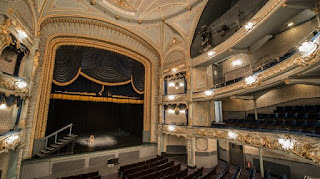 150th Anniversary Coordinator Riikka Heiskanen says: "We are so thrilled to be able to bring this immersive experience to the Tyne Theatre - it's like history coming to life around you. Combining cutting edge high tech effects with the old world charm of the theatre, the visitors will have their hearts soaring." “1867” opens on September 11th and runs until the 17th with two shows every day at 2:30pm and 7:30pm and is approximately 80 minutes long. - As this production requires you to be on your feet for the majority of the duration, please dress comfortably for a theatrical production with a difference. - The producers advise that this show is suitable for children 14+, and all minors must be accompanied by an adult. - Due to the nature of the show, they cannot grant access to those patrons with mobility issues. - Please arrive fifteen minutes early (2:15pm and 7:15pm) to ensure you are fully prepared for your trip to the past; late comers will not be permitted.